I’m working on a project right now that has a Lo-Fi/Hi-Fi thing going on. That is, something that has a grungy dirty sound, but still with a certain degree of finesse and modernness. The idea behind this stylistic umbrella is to not necessarily aim for a sound that is polished and big, but rather, to aim for something that is unique and compelling. This can be done in an almost unlimited number of ways, and because of this, it can actually be more daunting than going for a huge-clean sound that’s customary of top 40 releases. So here’s a brief list of techniques to help get your imagination going. When it comes to things like reverb and delay in a Lo-Fi/Hi-Fi mix, I find that they can often play a more prominent role than simply enhancing whatever element is feeding the processor. The key to crafting great reverbs and delays comes from finding inspiration. I like to look to Psychedelic Rock from the 60’s/70’s, early to mid 90’s Electronica, and even 80’s Anime for crafty delay throws or effecty reverbs. There are still plenty of modern examples of supremely creative uses of reverb or delay. The Flaming Lips readily comes to mind, as does a song like “Pumped Up Kicks” (that lead vocal is swimming). 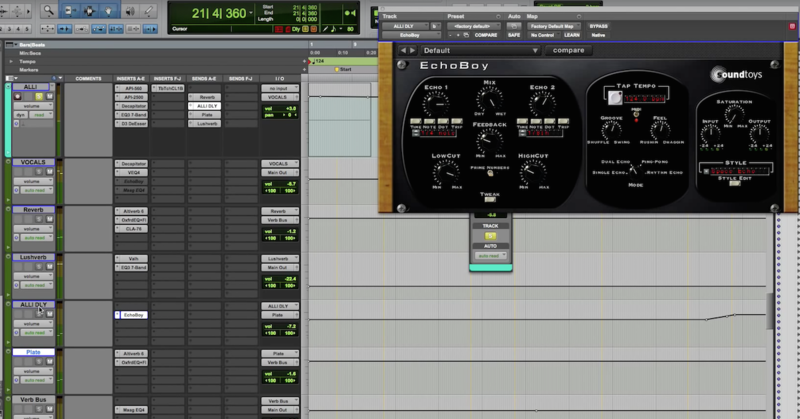 I tend to like my Eventide 7000 and Soundtoys Echoboy (coupled with Filterfreak or Phasemistress) for funky ambience. Another favorite which is fairly affordable is the Yamaha Rev 7. In general I’m not a big fan of going crazy with subtractive EQ. My motto is: as little as necessary. But I recognize that in order for a mix to sound big, some well placed EQ cuts are often a necessary evil. But when we’re trying to get down and dirty I think it’s perfectly fine for elements to overlap. Particularly the bass and kick. 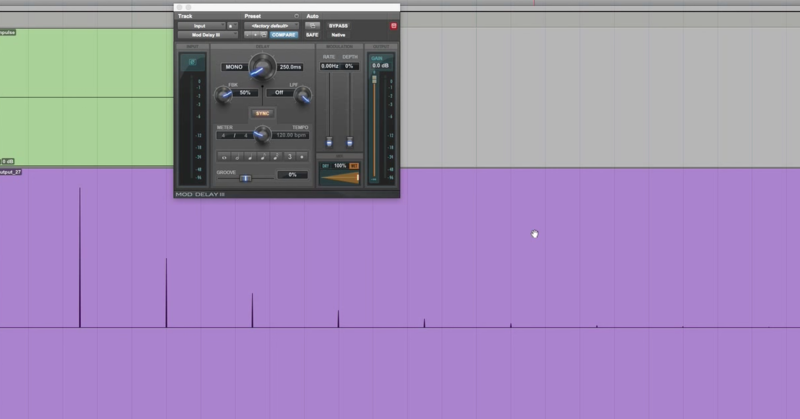 Letting those two elements homogenize won’t give you the “biggest” sound, but it will give you a very full sound. The key is to listen for “groove” rather than clarity here, and to negotiate a sweet spot. Of course, this is a huge generalization — but more often than not I find myself allowing the low end to be fuller even if it’s a bit cloudy. Sometimes giving low end to an element that doesn’t traditionally get low end dominance, like the snare, rhythm guitar, piano, organ, or even vocals, rather than the kick or bass can also be unexpected and fun. Let’s be honest, distortion is fun. Mangling a sound is cathartic. I did a Punk record where the client asked me to run the entire mix through a stomp box. And we were able to get right up against that line where just a pinch more distortion would have sounded bad. But right where it was at sounded … well … ROCK. There’s a whole rainbow of distortion flavors, exciters, amp simulators, and convolutions out there that can take even a fairly bland element and turn it into something awesome. AudioEase Speakerphone and Soundtoys Decapitator readily come to mind. If we really want to be quirky and unpredictable, remember our two primary mixing tools: level and pan. Volume and speaker positioning are the foremost sonic characteristics that the listener hears. So if we make something oddly loud, or oddly quiet — or pan things in a way that you wouldn’t traditionally hear — it can have quite an impact on the listener. The key to doing this is to tap into the feel of the record. Panning stuff aimlessly or making a disproportionate mix will sound bad a lot more readily than it will sound brilliant. Sometimes the best way to make something sound Lo-Fi in a cool way is to leave it unprocessed. Today’s listener is very much accustomed to hearing carefully treated sound. Raw recordings are pretty rare. Early Wu-Tang vocals are an immediate example of this. But the idea of leaving something raw can apply to any element in a mix, and works especially well in the context of other things that have been obviously treated in some way. I do have a personal example that I feel incorporated a lot of these techniques into the mix. The record is “On The Way To Luton” by King Midas, from the album “Rosso.” In that record I have the kick panned hard left and the open snare panned hard right. The low end is held down by the piano in the verse, and the deep sub comes from the vocal ad-libs in the chorus. The lead vocal is going through a radio-distortion effect. The lead sine-synth has periodic pitch modulated delay throws, as does the lead vocal. There’s a fair amount of spring reverbs tucked into the mix — sometimes obvious sometimes subtle. The guitar in the guitar solo is completely untreated — no EQ, no reverb, no delay. I think it makes for a good study piece on using Lo-Fi aesthetic in a modern context. 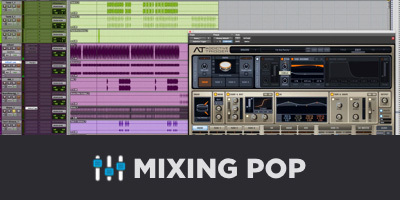 Here’s a playlist with some videos on using distortion, saturation and more in a mix.